Are you shocked at the color of this card for my dad? Ever since my double mastectomy in December 2013, my dad has been wearing the button you see below on a daily basis. My sister Debby made a button for everyone in the waiting room (and there was a room full), he has yet to take his off. 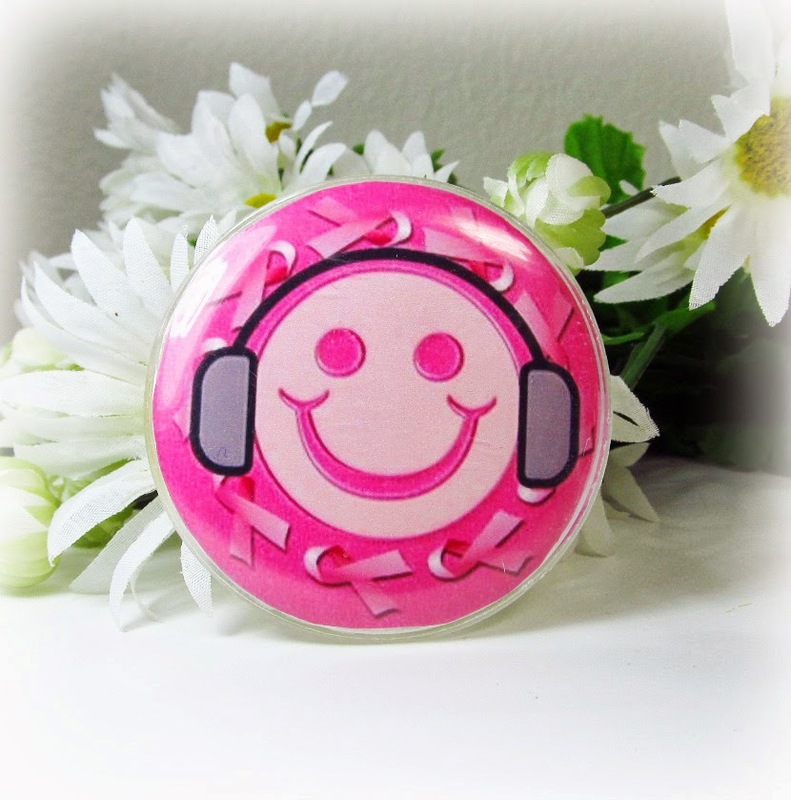 (the graphic for the button is in memory of our brother who passed away in July 2004...he loved Smiley's and was hearing impaired...now you know the rest of the story). and after finding this paint chip...I just went with it. 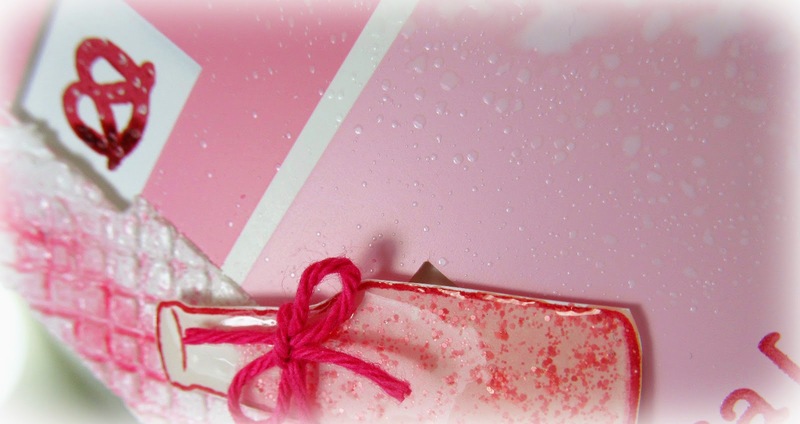 The edge of the card has been stenciled with modeling paste, then spritzed with Angel Pink & Wedding Dress irRESISTibles. Sentiment was stamped and heated embossed. White gel pen dots were added to the pretzels (they needed some salt) and the beer bottle was layered with glitter glue and Glossy Accents. Center of card was also spritzed with Wedding Dress irRESISTibles ( kind of looks like he spilled his beer) and I left the text in the upper right corner so dad could see it was made from a paint chip. Congrats on being features Stamper at SCS! A beautiful card, a beautiful button and a beautiful story behind all of it. God Bless! This card and what it stands for is simply amazing!! What a trooper you are and such a source of inspiration for us all!! 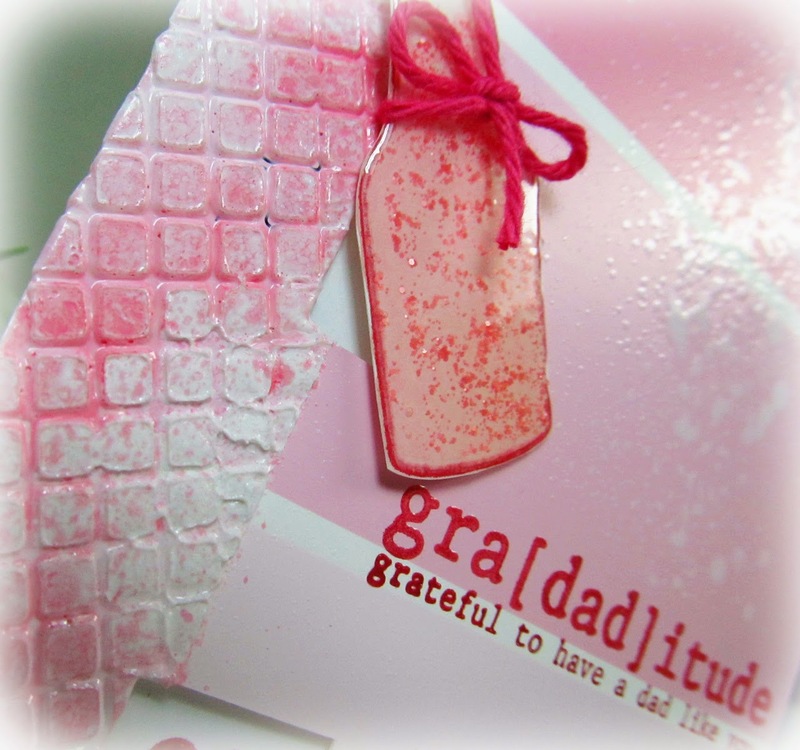 Your dad sounds like an amazing man — and great card to share that sentiment! Thanks for playing along with AE's Challenge! fantastic card! and your father seems to be a great man! thanks for joining us at the AE challenge blog! 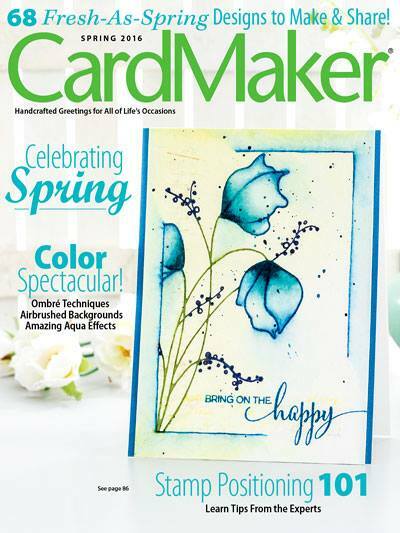 Thank you for sharing the story behind your card, and what a great idea to use paint chips! So glad you linked up your card to the AE Ombré Challenge!